Backups are critical for WordPress site owners. Many businesses depend on a functioning website Should your website go down unexpectedly, you need to have a plan in place to get your site back up as quickly as possible. While many hosting providers will backup your website for you, you shouldn’t rely solely on your host’s backups should your site go down. What if you were unaware of your account expiring and your host wipes everything you had? You’re left with nothing and scrambling to get your site back up. In the meantime, you’re losing traffic and potential customers. When backing up your WordPress website, at a minimum you need to back up the content in your database ( ie. your posts and pages). Ideally, you should have a complete backup of your database, your theme, and your uploads folder. 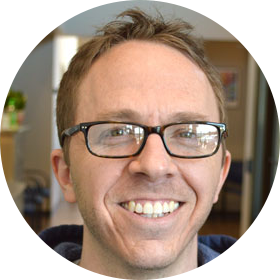 You don’t have to back up your plugins as they should be available through the WordPress repository. However, if any of your plugins are paid plugins or come from a third party website, you may want to consider backing these up as well in case the developer stops supporting them or they become no longer available. With BackWPup you can create multiple backup jobs. This is allows you to back up different parts of your site and allow them to operate on different schedules. You can back up just your WordPress XML export or you can back up everything including your database, theme files, uploads, plugins, etc. Because I like to have multiple backups in multiple locations, this feature is fantastic. I create a separate job for file backups (theme files, images) and database exports. I keep one copy stored locally and the other in a remote location. Create multiple backup jobs for different tasks. Many plugins limit their back ups to a specific location, typically on your server. But what if your server fails? With BackWPup you can back up to multiple locations. 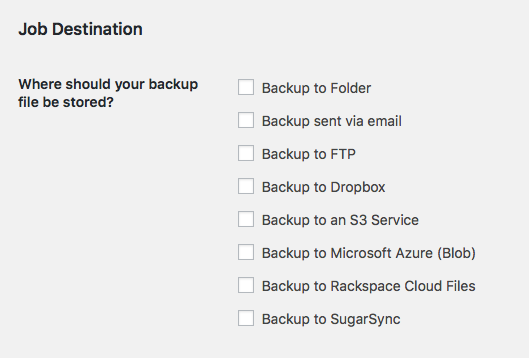 This is really convenient if you want to have multiple backups going to multiple locations as stated above. Simply create a job for each type of backup you want to perform and assign it to the appropriate location. BackWPup gives you several locations from which to choose, such as a folder on your server, Dropbox, SugarSync, email, etc. Back up your site to multiple locations. 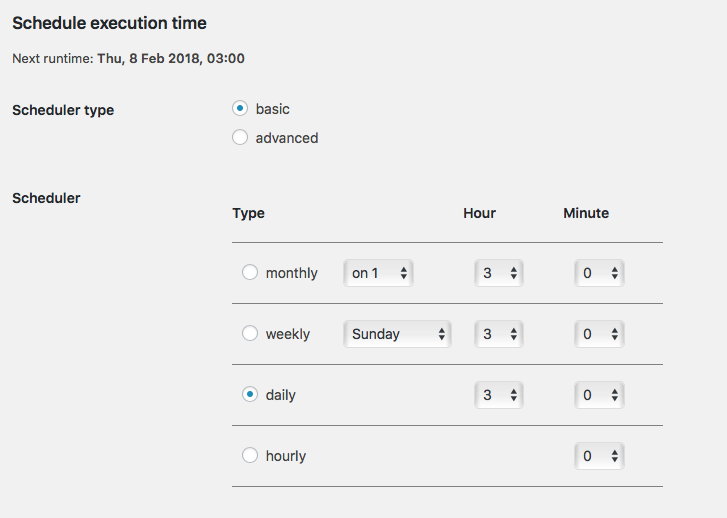 Each job you create can be scheduled individually. For instance, to back up frequent changes to your database you can have a WordPress XML export sent to you via email on a daily or weekly basis. However, for parts of your website that may not change as frequently (ie. theme files), you can put them on a different schedule with a frequency that is appropriate for that content. This is handy when it comes to preventing unnecessary load on your server by running full nightly backups when you all really need is a nightly export of your database. Schedule your backups to run hourly, daily, weekly, or monthly. Just because a back up job is scheduled doesn’t necessarily mean it will be successful each time. If something goes wrong during the back up process, BackWPup will send you an error log via email. The error log will highlight the error(s) that occurred, when it occurred, and to which job the error(s) apply. Rather than just assume that because a job ran it was successful, this feature gives you the peace of mind to know if it was. Need help backing up your WordPress site?